Yu-Chi Ho received his S.B. and S.M. degrees in Electrical Engineering from M.I.T. and his Ph.D. in Applied Mathematics from Harvard University. Except for three years of full time industrial work he has been on the Harvard faculty. Since 1969 he has been Gordon McKay Professor of Engineering and Applied Mathematics. In 1988, he was appointed to the T. Jefferson Coolidge Chair in Applied Mathematics and Gordon McKay Professor of Systems Engineering at Harvard and as visiting professor to the Cockrell Family Regent's Chair in Engineering at the University of Texas, Austin. In 2001, he retired from teaching duties at Harvard and became a Research Professor (2001-2006), Professor Emeritus (2007-date) and also was appointed to be a chair professor and chief scientist (part time), at the Center for Intelligent and Networked Systems (CFINS), Department of Automation, Tsinghua University, Beijing China. Since 2007 he has also begun blogging regularly on Science Net China and his book of blog articles 2007-2009 has just been published by Tsin ghua University Press. He has published over 140 articles and six books, one of which (co-authored with A.E. Bryson, Jr.) has been translated into both Russian and Chinese and made the list of Citation Classics as one of the most referenced works on the subject of optimal control. He is on the editorial boards of several international journals and is the founding editor of the international Journal on Discrete Event Dynamic Systems. 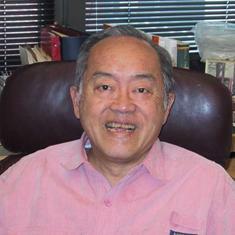 He is the recipient of various fellowships and awards including the Guggenheim (1970), the IEEE Field Award for Control Engineering and Science (1989), the Chiang Technology Achievement Award (1993), the American Automatic Control Council Bellman Control Heritage Award (1999), the ASME Rufus Oldenburger Award (1999), and the Isaacs Award from the International Society of Dynamic Games (2004). He is an IEEE Life Fellow and an INFORMS Inaugural Fellow, a Distinguished Member of the IEEE Control Systems Society, a member of the U.S. National Academy of Engineering and an elected foreign member of the Chinese Academy of Engineering and the Chinese Academy of Sciences. In addition to services on various governmental and industrial panels, and professional society administrative bodies, he was the program chairman for the IEEE Conference on Decision and Control 1972, the general chairman of the IEEE Robotics and Automation Conference 1987, President of the IEEE Robotics & Automation Society in 1988. His research interests ranges from optimal control. differential games, information structure, multi-person decision analysis, to incentive control, and since 1983, exclusively in discrete event dynamic systems, ordinal optimization, decentralized optimization, perturbation analysis, manufacturing automation, and complex networked systems. · 50 Ph.D. graduated (retired from teaching will accept no more Ph.D student at Harvard). · APPLIED OPTIMAL CONTROL (with A. E. Bryson Jr.)* Hemisphere-Wiley 1975, First published by Xerox College Publishing 1969. *Citation Classic, SCIENCE CITATION INDEX (CURRENT CONTENTS) 2/25/80, Vol. 11, No. 8, as the most cited reference on the subject. · "Comparison of Selection Rules for Ordinal Optimization" (with Q.-S. Jia and Q.-C. Zhao), Mathematical and Computer Modelling, 43, (2006) 1150-1171. · "Machine Learning Approach for Determining Feasible Plans of a Remanufacturing System" (with C. Song, X. Guan, and Q. Zhao), IEEE Transactions on Automation Science and Engineering, Vol. 2, #3, 262-275, 2005. · "Vector Ordinal Optimization" (with Q.C. Zhao and Q.S. Jia), Journal of Optimization Theory and Applications, Vol. 125, # 2, 259-274, May 2005. · "On Centralized Optimal Control", IEEE Transactions on Automatic Control, Vol. 50, #4, 537-538, Apr. 2005. · "A Conceptual Framework for Optimization and Distributed Intelligence" (with D. L. Pepyne), the 43rd IEEE Conference on Decision and Control, Atlantis, Paradise Island, Bahamas, Dec. 14-17, 2004. · "The No Free Lunch Theorem: Complexity and Computer Security" (with Q.C. Zhao and D. Pepyne), IEEE Trans. On Automatic Control, Vol. 48, #5, 783-793, May 2003. · "Constraint Ordinal Optimization" (with D. Li and L.H. Lee), Information Sciences, Vol. 148, 201-220, 2002. · "A Simple Explanation of the No Free Lunch Theorem" (with D. Pepyne), Proc. of the 2001 Conference on Decision and Control, J. of Opt. Theory and Applications, Vol.115, #3, Dec. 2002. · "Design of a Numerical Milling Machine System" (with E.C. Johnson) Proc. of the Eastern Joint Computer Conference, Dec. 1957, pp 11-24. · "On the Interactions of Incentive and Information Structures" (with D. Teneketzis), IEEE Trans. on Auto. Control, AC-29, No. 7, July 1984, pp 647-650. · "Incentive Problems in Resource Allocation: Algorithms and Solutions" (with L. Servi) Advances in Large Scale Systems, Vol. 1, I JAI Press, 1983, pp 143-162. · "Team Decision Theory and Information Structures" Proc. of IEEE, Vol. 68, No. 6, June 1980, pp 644-654. "Team Decision Theory and Information Structures in Optimal Control Problems, Part I" (with K.C. Chu), IEEE Trans. on Automatic Control, Vol. 17, No. 1, Feb. 1972, pp 15-22. BEST PAPER AWARD. "A Bayesian Approach to Problems in Stochastic Estimation and Control" (with R.C.K. Lee), IEEE Trans. on Automatic Control, Vol. 9, Oct. 1964, pp 333-339. · "Differential Games: Concepts and Applications" (with G.J. Olsder), Proc. of Yale-ONR Conference on Models of Conflict, Nov. 1979; Chapter in Mathematics of Conflict, M. Shubik (Ed), North Holland, 1983, pp 127-186. "Differential Games and Optimal Pursuit-Evasion Strategies" (with S. Baron and A.E. Bryson) IEEE Trans. on Automatic Control, Vol. 10, No. 4, Oct. 1965, pp 385-389. "On Pattern Classification Algorithms" (with A.K. Agrawala) Proc. of IEEE, Vol. 56, No. 12, Dec. 1968, pp 2101-2114. · "Optimal Resource Investment: An Example of a Control Problem in Economic Theory" (with A.R. Dobell) IEEE Trans. on Automatic Control, Vol. 12, No. 1, Feb. 1967, pp 4-14.